Rockingham County's Premier Flooring Expert - Best of Houzz 2018! Southern NH's dustless sanding and staining specialist. 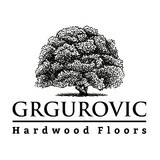 Grgurovic Hardwood Floors uses modern techniques to give you both an amazing sanding and refinishing experience along with low VOC and zero VOC water based finishes and color options. We service southern NH and northeast MA. 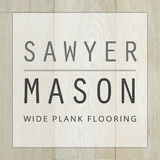 The Sawyer Mason collection of oiled plank flooring offers the most natural looking wood flooring options along with longer lengths and wider widths to create a truly custom look. Fast, friendly and fully functional, our professional floor installation service is well renowned throughout the Seacoast area. Our team is up for every job, managing projects with the skill and experience our clients have come to expect. We always stand behind our work, with customer satisfaction being our #1 priority. Contact us to learn more about Don Marcotte Flooring and how they can help you! Let us help you find the perfect floor for your home. From inspiration to installation we pride ourselves in making sure you have all the information you need to make the right flooring choices for your family's lifestyle. After all, your home is your personal statement. I hope that you will pay a visit to our Quincy Showroom to see all the newest trends. Whether you're looking for a fabulous Wool Carpet, Area rug or a traditional New England distressed hardwood floor, we've got you covered. Come see our new Tile Gallery, including Glass and Stone. New floors can completely transform a room. Rest assured that once your flooring is installed you will love it! We are so confident you'll love your new floor that we'll replace it for FREE if you are not satisfied. That's what we call The Beautiful Guarantee. Of course, please feel free to contact us with any flooring questions-our flooring experts look forward to helping your dreams become reality. EverWood Flooring is a full-service wood flooring business offering expert wood floor installation and repair, and environmentally-friendly dustless refinishing. We offer services for both residential home-owners and builders/contractors. Williston Weaves is a full service, to the trade only, flooring company offering both residential and commercial floor coverings. We pride ourselves on our vast selection and convenience at competitive pricing. We offer superior service through our knowledgeable and passionate sales team and our expert installation team that manages all kinds of custom installation projects throughout New England. *Authorized Dealer of Shaw Floors* Our business is family owned and operated, we provide quality service at competitive pricing. Our customer's testimonials (not anonymous) speak about the quality of our service. 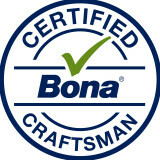 We proudly represent the industry with the highest ethical standards, and we are accredited members of BBB. We feature some of the finest names in floor covering, Couristan, Kane, Masland, Dixie Homes, Shaw, Mohawk, and many more. Our collection of hard wood floors is one of the best in the North Shore with emphasis on Canadian manufactured products. Our wool carpet variety is extensive with value wool products a low as $3.00 per square foot for broadloom and $15.00 per linear foot for runners. Bamboo, Cork, Marmoleum are part of our Eco friendly product collection. We represent some of the finest floor companies in the industry including Shaw Flooring, Couristan, Kane, Nourison, Kaleen, Armstrong, Lauzon, Karndean, and Stanton. Father and Son Floorcraft has been serving the flooring needs of the Boston area for over 35 years. We provide full-service flooring installation and maintenance services for discerning customers seeking a partner on their projects, not just a vendor. We will help coordinate all details involved in your project from initial measurements to material recommendations to moving furniture and beyond. Our team of installers are experts in their field and dedicated to exceeding your expectations with every project. Our showroom offers a wide range of products including solid hardwood, engineered hardwood, Marmoleum, vinyl, cork, carpet and more. Our business continues to grow via former client referrals and recommendations. 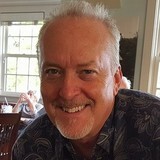 What makes our business model unique is that we will go beyond cookie-cutter flooring companies and build custom mouldings, provide stain-matching services, and source unique materials such as reclaimed wood and quarry tiles. Please stop in to our showroom or send us an inquiry via email or phone. We look forward to working with you on a future flooring project! Bostonian floor creations provides sales and service for Boston and the south shore. New construction, existing homes, both commercial and residential. Specializing In Floor covering, walls, kitchens, and bathrooms. Carlisle brings legendary interiors to life by creating the widest, longest center-cut plank floors available in the world. Our clients want a custom floor that makes a statement. The company’s SlowCraft™ approach creates a visually arresting floor that is unmistakably Carlisle and truly one of a kind. We have been in business since 1966 and make every floor in New Hampshire. We specialize in wide plank Hardwood, Pine, and Reclaimed wood, and offer Solid, Engineered, unfinished and Pre-Finished floors to meet the unique needs of every client. Our floors have almost no installation restrictions so they can be installed in many non-traditional applications such as radiant heat, concrete slab, and in dry and humid environments. Our team of Wide Plank Specialists work with each client one-on-one to outline flooring solutions to meet their design and installation needs. Classic yet contemporary, hardwood floors are one of the most beautiful types of flooring a home can have. However, if not installed correctly or damaged, a floor can threaten a home’s entire interior aesthetic. That’s where Hampstead, NH hardwood flooring installers and dealers step in. Whether you need a hardwood floor installation or replacement, or just want some guidance on the types of hardwood flooring available, these Hampstead flooring pros can help. What kinds of services do hardwood flooring installation professionals in Hampstead, NH provide? Find hardwood floor experts in Hampstead, NH on Houzz. Search the Professionals section for Hampstead, NH hardwood flooring installers and dealers or browse Hampstead, NH photos of completed installations and look for the professional’s contact information.